Don Mattrick is cleaning house. Zynga's about to lose three top people: Chief Operating Officer David Ko, Chief People Officer Colleen McCreary, and Chief Technology Officer Cadir Lee. 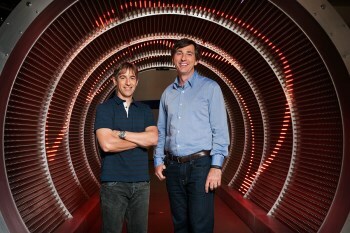 New Zynga boss Don Mattrick has said that he intends to take "layers out of the executive rank to get senior leaders closer to important product initiatives." As part of that policy, many team leaders now report directly to Mattrick "and will form our new executive team with immediate effect," according to an email sent by Mattrick to Zynga staff. It's an abrupt change of fortune for Ko, who only last November went from Chief Mobile Officer to reporting directly to CEO Mark Pincus, and then replaced John Schappert as COO when Schappert left. At the time the Schappert debacle was seen as a bad sign for Zynga's future. Schappert was an experienced, game-savvy executive, while Ko was one of those who pressured Zynga to buy OMGPop, the investment that cost millions for almost no return. As COO, Ko had oversight for all of Zynga's game development; now the people who used to report to him report to Mattrick. Zynga's share price is down 17% since its announcement that real money gambling is off the table. Mattrick's hope is that he can turn that share price slide around, but it will be an uphill battle. We'll soon see whether his newly promoted generals are fit for combat.